DevOps work is intense. DevOps teams require flexibility in their agile toolset to manage and track releases, deployments, environments and tasking. 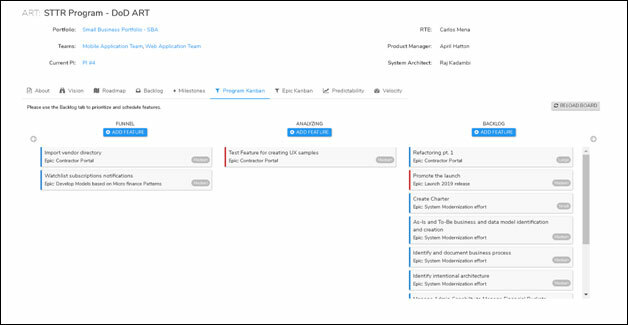 Metronome – Orchestrated Agile ®, allows Product Managers and other Business Owners to visualize and control the flow of Features through the Continuous Delivery pipeline. Metronome’s workflow can be configured to support all or parts of the four phases of Continuous Delivery, namely: Continuous Exploration, Continuous Integration, Continuous Delivery, and Release on Demand. Product Managers can use Metronome to manage a feature from concept to done using Metronome. They use program kanban in Metronome to manage the continuous flow of features. Metronome can connect with any tool that provides a Rest API. This integration enables Metronome to enhance your existing capabilities, to help improve efficiency and productivity. Get in touch with us to request more information about Metronome and begin your journey to scaled agile.